Limu is something that has captured the hearts and dreams of tens of thousands of people across the globe. That's pretty astonishing considering that just a few years ago, almost no one had ever heard of it. When Polynesians from Fiji first reached the breathtaking islands of Tonga, they discovered an unusual sea plant known as Limu Moui. Cradled in an underwater oasis in the ocean and nourished by its virgin soil, Limu Moui grew profusely, its rejuvenating properties protected and fed by earth's most natural, life-giving substance... water. 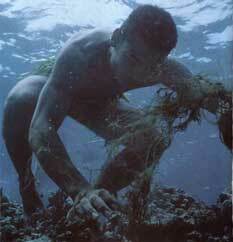 As quickly as the Limu plant was harvested, it was believed by the Tongans to be their ocean's most precious pearl. It was viewed as their source of longevity, and good health. It was even bestowed upon Great Explorers who visited their island, needing sustenance and energy after a long journey at sea. 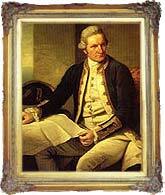 Renowned explorer Captain Cook, considered to be "the man who saw the whole world first," experienced this warm reception in 1777 - and the islands of Tonga became forever known as "The Friendly Islands." But despite the generosity of the Tongan people eager to share the bounty of their prized possession, they couldn't possibly fathom the extent of its benefit to the human body. Limu is a veritable storehouse of healthful nutrients that together, cannot be found in any land based plant. In fact, Limu boasts over 70 vital nutrients, including immune-supporting antioxidants, polyphenols, amino acids, glyconutrients, vitamins and minerals, and of course, Fucoidan. It's no wonder that the anticipation... the demand... and the significance surrounding our life-changing product prompted representatives of all 4 of the major news networks, ABC, CBS, NBC, and FOX, to contact us to share the story! How Many Ounces Of Original Limu™ Are In A Bottle? Each bottle contains 33.8 ounces (1.0 liter) of Original Limu™. How Much Pure Tongan Limu Is In Original Limu™? 83% of each bottle of Original Limu™ is reconstituted pure, fucoidan-rich Tongan Limu obtained via a proprietary, chemical-free extraction process that took 15 years to perfect. Does Original Limu™ Contain Any Added Sugar Or Artificial Sweeteners, Flavors Or Colors? There's NO added sugar and NO artificial sweeteners, flavors or colors in Original Limu™ - none whatsoever! How Much Sugar Is In Original Limu™? Original Limu™ contains NO added sugar and less than 2 grams of naturally-occurring fruit sugars per one-ounce serving. That's less than you would get from a carrot ... a spear of broccoli ... or a small tomato. What Is The Recommended Daily Intake Of Original Limu™? Two to four ounces daily, depending on your personal preference. Who Can And Should Drink Original Limu™? People of all ages, all around the world, can enjoy Original Limu™. What Is The Shelf Life Of Original Limu™? Original Limu™ will last up to one year when left unopened and stored at room temperature. 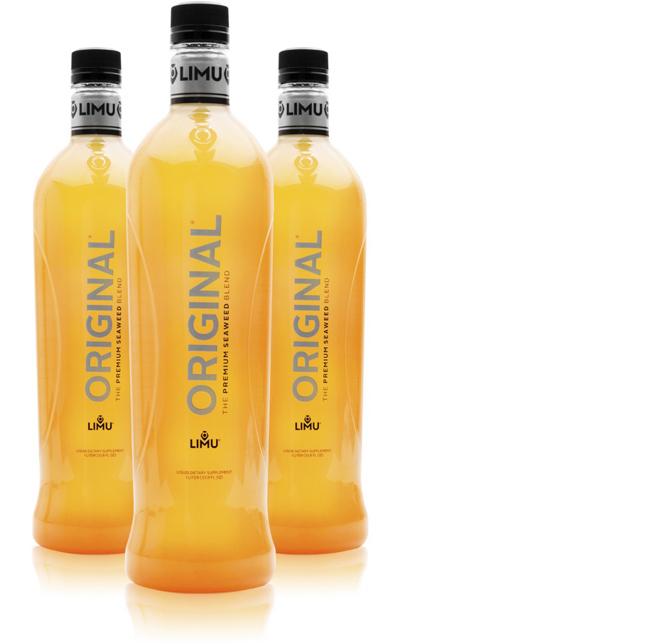 Once opened, Original Limu™ should be refrigerated and will last for several months in your refrigerator. When Is The Best Time To Drink Original Limu™? You can enjoy Original Limu™ at any time during the day. Can Original Limu™ Be Mixed With Other Drinks Or Juices? Original Limu™ can be mixed with any other liquid, whether hot, cold or at room temperature. As with any nutritional product, we do not recommend taking Original Limu™ together with coffee because this may reduce its benefits. What Is Rhe Secret That Makes Original Limu™ So Effective? The secret behind the remarkable results people experience with Original Limu™ is the unique Tongan Limu Extract we use. The extraction process is proprietary and it took more than 15 years to perfect. And because we have been entrusted with the EXCLUSIVE WORLDWIDE RIGHTS to this proven, life-changing extract, Original Limu™ can never be duplicated... period! What Is It That Makes Original Limu™ Unique? At the heart of Original Limu™ is a uniquely beneficial Tongan limu extract that is produced using a proprietary, chemical-free extraction process. During this process, which took more than 15 years to perfect, the fucoidan present in the limu plants is naturally "predigested" without the use of chemicals. The result is an abundance of fucoidan with superior bioavailability. The Limu Company owns the worldwide distribution rights to the uniquely beneficial limu extract, and the only product that contains it is Original Limu™... period! How Can I Purchase Original Limu™? The only exclusive source for Original Limu™ is The Limu Company. You may purchase Original Limu™ from a TLC Distributor at the suggested retail price of $50 per bottle. Better yet, become a TLC Distributor for just $25 and buy by the case for $130 on the AutoAdvantage Program. Where And How Is Original Limu™ Processed? The unique Limu used in Original Limu™ is harvested among the islands of the Kingdom of Tonga, and is strictly licensed and protected by the Tongan Government. The purest form of Limu is collected and carefully cleaned in Tonga, then flash-frozen to preserve its freshness. It is then transported to New Zealand where it is refined into a unique liquid extract in a government-inspected facility using a proprietary extraction process. The extract is quality tested and transported to the United States, where it is blended with our proprietary formula into Original Limu™ and bottled for your use. How Does The Limu Company Ensure The Quality Of Original Limu™? The Limu Company has a ten-step quality manufacturing process to ensure that you receive the same standardized quality in every bottle of Original Limu™. Original Limu™ is manufactured according to strict Good Manufacturing Practices (GMP) standards in an FDA-inspected facility. From raw material analysis to final product inspection, every production step is carefully monitored and documented, with full accountability and in-process controls. Each batch of Original Limu™ is then thoroughly tested prior to being released for consumption. Why Does The Product Sometimes Vary Slightly From Batch To Batch? Slight variations in the color, taste and thickness of Original Limu™ may occasionally occur due to natural variations in the organic mango puree, organic papaya puree and other natural ingredients we use. These fruits vary in color and flavor just like the oranges you buy from the supermarket. However, you can rest assured that each bottle of Original Limu™ always contains exactly the same amount of pure Tongan limu extract. What Is The Advantage Of Flash Pasteurizing Original Limu™? Our state-of-the-art flash pasteurization process allows us to chill-blend Original Limu™, thereby maintaining the highest levels of nutritional integrity. By comparison, most companies use a pasteurization process that heats the product for extended periods of time and can destroy valuable nutrients. Are There Any Toxins In Original Limu™? Every batch of Original Limu™ is thoroughly tested to ensure that no bacteria or other contaminants are present. Regular tests are also run to ensure that the product is free of heavy metals, pesticides and other harmful substances. Has Original Limu™ Been Tested For The Presence Of Benzene? Independent tests on Original Limu™, which is manufactured in strict accordance with Good Manufacturing Practices (GMP) standards in an FDA-inspected facility, show no traces of benzene. Which 70-Plus Nutrients Are Found In Original Limu™? In addition to the usual vitamins, minerals, amino acids, essential fatty acids and antioxidants that you find in fruits and vegetables, Original Limu™ provides several other powerful nutrients including polyphenols, glyconutrients (fucose, galactose, mannose and xylose), alginate and fucoidan. Research indicates that it is the presence of fucoidan that really differentiates Original Limu™ from other food supplements. It is important to note that fucoidan is not found in land-based plants. How Much Of Each Nutrient Is In Original Limu™? 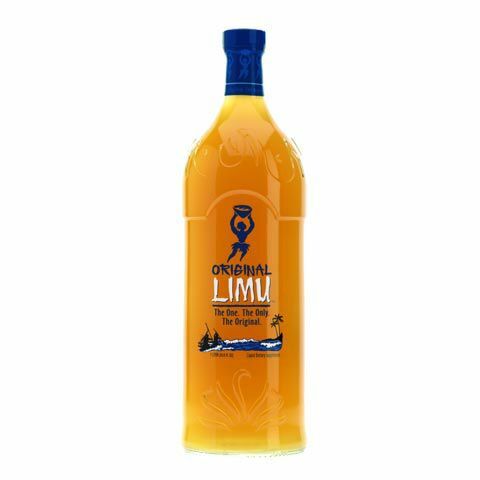 Original Limu™ is made from a proprietary pure Tongan Limu extract, blended with papaya and mango purees, and apple and pear concentrates. A whopping 83% of each bottle of Original Limu™ is reconstituted pure Tongan limu from this fucoidan-rich extract! Because it is a liquid dietary supplement in the same way that wheat grass juice or aloe vera juice are liquid dietary supplements, Original Limu™ contains a wide array of naturally occurring nutrients provided by Mother Nature (over 70 in all). Unlike synthetic dietary supplements, Original Limu™ contains no added vitamins or minerals ... so there's no need to worry about upsetting your body's delicate nutritional balance. Is The Environment Damaged During Harvesting Of Limu? The Tongan people take great care to harvest the Limu without disturbing the delicate coral reefs and ocean floor where Limu grows. How Much Apple Is In Original Limu™? Just enough to help make Original Limu™ the best tasting nutritional beverage ever ... approximately 1 gram (1/28 of an ounce) per one-ounce serving of Original Limu™. What Is Malic Acid And Why Is It In Original Limu™? Malic acid, part of the alpha-hydroxy family of natural fruit acids, is what gives green apples and certain other fruits their tart flavor. Malic acid helps give Original Limu™ its delicious, refreshing taste. Why Are Sodium Benzoate And Potassium Sorbate In The Product? Sodium benzoate and potassium sorbate work synergistically to keep Original Limu™ free of harmful molds and microbes after bottling, and keep our chill-blended product from spoiling. These substances are present in quantities of less than one-tenth of 1% in compliance with food safety regulations. Sodium benzoate is the sodium salt of benzoic acid, an FDA-approved polyunsaturated fat that is freely found in nature, in foods such as cranberries. 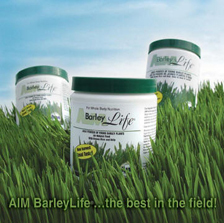 It has been used by food manufacturers for over 80 years to inhibit microbial growth. Potassium sorbate is a potassium salt version of sorbic acid, a polyunsaturated fat used to inhibit mold growth. 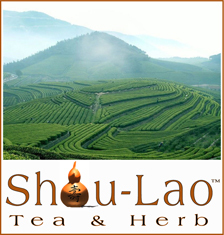 It has been found to be non-toxic even when taken in large quantities and has been used in foods since the 1850's. Does Original Limu™ Contain Grapefruit Extract? No Original Limu™ does not contain grapefruit extract. How Much Iodine Is There In A Serving Of Original Limu™? Original Limu™ contains less than 30 micrograms (30/1000 of a milligram) of iodine per one-ounce serving. This is because, unlike iodine-rich brown seaweeds such as kelp, the unique Tongan Limu Moui from which we make Original Limu™ contains only very small traces of iodine. Can I Still Take Original Limu™ If I'm On Medication? Original Limu™ is simply a liquid food supplement and is enjoyed by thousands of people on medication. However, it is always prudent for people who are on medication to consult their doctor before starting any nutritional or exercise program. What If My Original Limu™ Freezes During Shipping? No harm done! Simply let your Original Limu™ thaw out before you use it. Will We Ever Run Out Of Limu? Fortunately not! Limu grows in abundance in the pristine ocean waters just off the Islands of Tonga and renews itself naturally. A smaller and more convenient way to always have your Original Limu™ with you! Li'l Limu proves good things can come in very small packages as well. 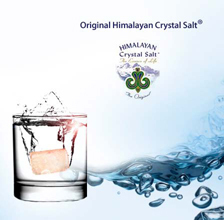 It’s still exactly the same World's Best Tasting Superfood you love ... only now it also comes in a cool 2oz. bottle! That means whenever you head out the door ... to the gym, to soccer games, to the office, to the beach or wherever your travels take you ... you don't have to sacrifice your own or your family’s nutrition. You can take it with you! Just pop a Li'l Limu or two in your pocket or bag and head out the door ... how great is that! To make it even more convenient, we've packaged 30 Li'l Limu bottles into a handy On the Go pack that fits easily into your 'fridge. That way they stay colder longer and you always have a ready supply of Li'l Limu to carry with you anytime, anywhere! So go ahead and feel the freedom ... take your favorite Fucoidan-rich Superfood with you wherever you go! Li'l Limu is way compact and ready to travel with you, so grab one or grab a lot. You decide! See how easy that is? It's nice to know that you can rely on Li'l Limu to keep you healthier on the go. With Li'l Limu, you can grip it, sip it ... and zip along your way!